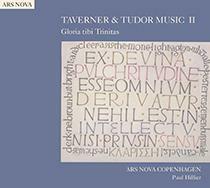 This second cd of English Tudor music focuses on John Taverners mass Gloria Tibi Trinitas, one of the true masterpieces of Tudor church music. The mass is surrounded (and interrupted) by pieces by a.o. White, Byrd og Tallis - not to forget the brilliant Magnificat Regale by Fayrfax.